schwooo! by stampinangie: CAS-ual Fridays Stamps Sofa Sunday Release: Truth Blooms Fri-Die! CAS-ual Fridays Stamps Sofa Sunday Release: Truth Blooms Fri-Die! 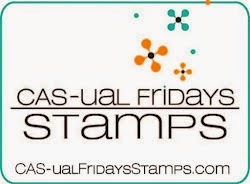 Welcome back to another new release day for CAS-ual Fridays Stamps! Yay! Today we have the Truth Blooms Fri-Dies that coordinate with the Truth Is stamp set! And you guessed it...the dies are in stock now and on sale 15% off through Monday! 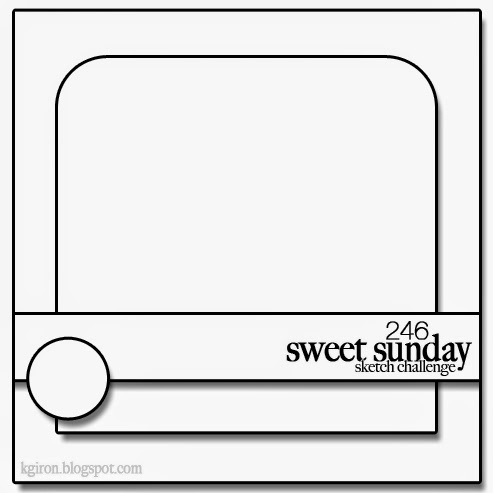 **Edited to add: I played along with the Sweet Sunday Sketch Challenge #246! 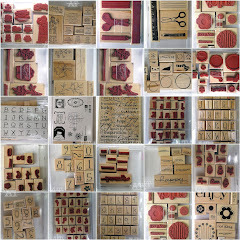 The design team had a lot of fun with these dies and thinking outside the box! You have to check out their creativity over at the store blog! I used the large die upside down as my "inchworm" and the smaller die to make my Oreo cookies. Of course, my husband had to point out that an inchworm would not eat an Oreo cookie. He's crazy! What kind of creature would not eat an Oreo cookie?! haha! For my card, I paired the new Truth Blooms Fri-Die with the other newly released Bubble Box Fri-Die and the Rad stamp set. And yes, I made another gift card holder, couldn't resist! To make the "flap opening" I placed the die on the patterned paper, but I placed a piece of scrap chipboard between the die and the patterned paper along the bottom (1 1/2" x 4 1/4") so that the die would not cut through the patterned paper. It leave a perfect little line for a pull-down flap. (Don't ask how I learned this...it was from a reject project yesterday!) After that, I cut the woodgrain patterned paper with the Bubble Box die too, then glued it on top of the cloud paper, so it would look like a tree. 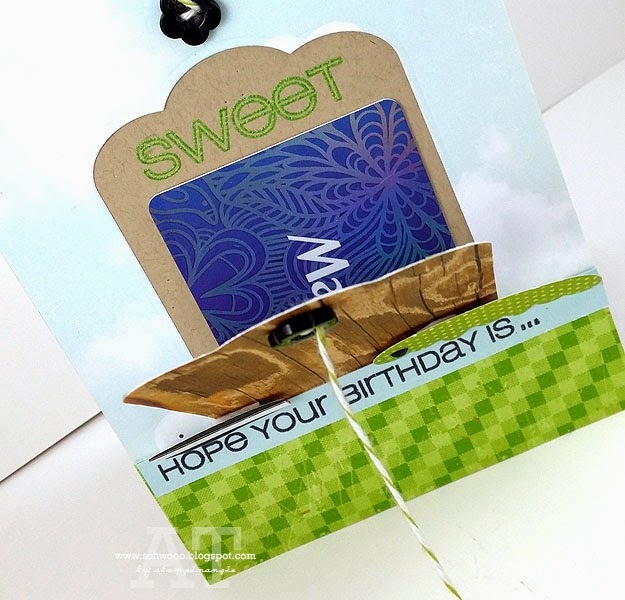 The cloud paper piece got attached to a Kraft cardstock base, just adhere a small line of adhesive along the bottom so the gift card will slip inside. That was a lengthy explanation, sorry, but let me know if you have any questions about it! I'll be back tomorrow at midnight EST with one last CAS-ual Fridays Stamps special for Cyber Monday! Yay! Thanks so much for stopping by! 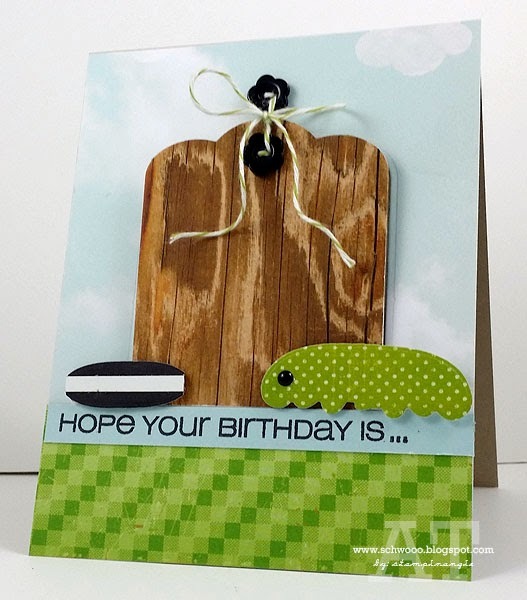 Hugs & happy stamping! Get out of town.....this is just too cute and ingenious! I love the interactive part!!! It's amazing what you can do with this versatile Fri-die! :) Enjoy the rest of your weekend, Angie!